OneCoin has a tough time lately: just days ago German authorities banned the selling of OneCoin altogether and froze several bank accounts as well. This is not the first time a country takes steps against the cryptocurrency which, many believe, in reality is a Ponzi scheme. 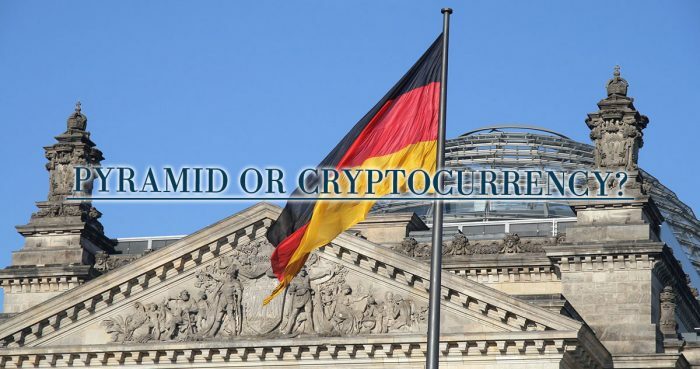 German Federal Financial Services Supervisory Authority (BaFin) banned OneCoin in April, stating that they did not have authorization to sell the cryptocurrency the way they did. BaFin’s announcement said: “OneCoin Ltd, Dubai is part of a network of companies that market units of a virtual currency, which they declare to be a cryptocurrency, under the "OneCoin" name using a multi-level marketing structure”. They believe that through a company called IMS they sell OneCoin and then forward this money to third parties. “This service offered by IMS is classified as money remittance business as defined (…) as a payment service, requires authorization by BaFin (…). IMS neither had nor has the required authorization”. BaFin believes that IMS accepted approximately 360 million Euros altogether and 29 million is still on German accounts, now frozen by the authorities. Not only BaFin has problems with OneCoin. In December, Italian authorities ordered One Network Services Ltd. to stop promoting and selling OneCoin as it resembles illegal pyramid sales systems. China also took steps against the “cryptocurrency”: authorities there arrested several members and investors and seized $30 million last year. England’s Financial Conduct Authority is also worried about OneCoin, and there is an investigation against it as well. Hungarian Central Bank also issued warnings, saying: “OneCoin seemingly makes it possible to invest in cryptocurrencies, but in reality it can be traded only at the “market” operated by the emitter itself. They offer great returns but they pay returns to the elder members through the payments of the newcomers”. It’s not rare that Central Banks are worried about cryptocurrencies. Authorities are reluctant of Bitcoin too, since there is no central regulator behind it. Bitcoin is not banned, though, it’s just not accepted as an official currency and as an exchange traded fund. But problems with OneCoin seem to go even deeper: several authorities not only warn against using them, but being a Ponzi scheme or pyramid system comes up more and more often. OneCoin has the chance to defend itself at court, but the other investigations and actions are worrying just as well.